I read this article and found it very interesting, thought it might be something for you. The article is called Clixsense Withdrawal with Tango Cards: get paid in bitcoins! and is located at https://howtogetref.com/clixsense-tango-cards/. The Clixsense withdrawal methods have been updated, following the announcement about PayPal removal at Clixsense this 8th February 2017. The website is one of the leaders of the Paid-To-Click and Get-Paid-To industry, so this news made quite a buzz. Which cashout method can you use at Clixsense? What are the fees involved? This tutorial will cover the clixsense withdrawal method powered by Tango Card which allows you to redeem your account balance into Bitcoins. In the “Payment Details” area, select “Tango Card” as the preferred method to be paid and click “Update Account” at the bottom of the page. When your Clixsense account is updated, you can come back to your dashboard and click “Cashout” near your Clixsense account balance. IMPORTANT: you need to have a balance of $8 minimum as a free member or $6 as premium. But keep in mind that, to use Bitcoin Tango card, you will need $10 as it’s the first value available (followed by all $5 increments). It will prompt a popup window which includes a summary of your request and asks you to pick your favorite Tango Card Reward. Click “Choose your Tango Card Reward here,” select the e-gift card value and hit the “Accept” button. Then “Submit” and confirm the Clixsense withdrawal request. The withdrawal request will be processed upon 2 to 5 business days. The good news? There are no fees involved to receive your earning! NOTE: The dollars are converted at the current bitcoin value upon completion. If you check your email inbox at a later stage, the bitcoins received may worth more or less due to the cryptocurrency volatility. This email includes your “claim site URL” to redeem your bitcoins in your SnapCard wallet. Click the link, fill in the signup form, then confirm your email and smartphone number. IMPORTANT: the email address where you received your gift card is the one you MUST use to signup there. Once approved, you can use the “Transfer” button on top-left of your account to withdraw the bitcoins to your favorite wallet. The fees to send the amount to your external bitcoin wallet are quite small. For example, it was $0.41 fees on my $25.5 transfer. EDIT: I contacted the support, and it seems that the exact fees for sending funds to another wallet are fixed at .0004 BTC. At the moment our Buy/Sell feature is only available in the US. We only accept payment methods from that country. For all other users, they can use their Snapcard account to store, send and receive bitcoin. Our ACH transfer fees are always 0.5% per transaction and our miner fee to transfer BTC is .0004 BTC. We are working on expanding our services world wide! Need more details about Clixsense and how to improve your strategy? Read our Clixsense Review here! Let me know in comments what are your favorite methods to cashout your earning from Clixsense, and why. What do you think about this alternative? Did you test already the withdrawal powered by Tango Card? Ps. 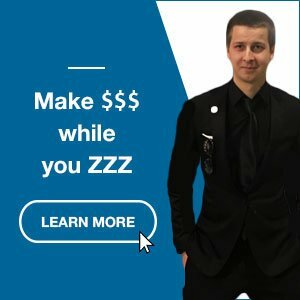 If you need assistance to get started with bitcoins, or to find a solution to convert those into your local currency quickly and with low risk; I’m here to help! so tango card to bitcoins is not available in the philippines? I believe this is available worldwide. Did you follow the step in clixsense? Do you see Tango Cards in the dropdown menu over “Profile and Settings”? I checked over SnapCard (the wallet where you redeem the Tango card value), and I see the Philippines in the drop-down menu. If you ask this because of the “only USA at the moment” comment from their support, this refers to the buy/sell feature inside SnapCard. very valuable, useful info! many thanks! i was wondering where to cash out to, and this seems a very viable option. once again, thank you for the update and info!!! Yes, the fees look low, and it’s pretty fast and convenient. The support seems fast too in case something goes wrong. I’m wishing you a lot of success and earning as well. Let me know if I can assist with anything else. Hi. I want to redeem it through Coins.ph and not by snapcard. what should I do? You can’t choose that, as SnapCard is Tango Card’s business partner. I still can not understand how I change the value in bitcoins for reais (Brazil), and I transfer them to my bank account. 1) Bitcoin wallets (e.g. instant currency conversions at Coinbase, BitPay, Kraken, Cex.io — no idea if any of those support Brazil currency, though). 2) Peer-to-peer local exchanges (e.g. Localbitcoins). This article has been useful and I will soon start withdrawing my clixsense money in bitcoin and keep the same in bitcoin only for lon term investment in the crypto currency only. I saw you are using https://trezor.io/ for stroing your bitcoins. What are it feature and Can we purchase more bitcoins using that and can we convert all the bitcoins into USD or any other currency and send it to our bank account using trezor.io. Hello, how do I change tango card by amazon gift card? Did you withdraw from Clixsense using Tango Card? The third party moved from SnapCard to Wyre… I placed a withdrawal recently, I’m guessing I should receive the email with instructions shortly. This said I’m not sure they allow to redeem that through an Amazon Gift Card. I will share the details once I received it. I did everything said here and also in the video, but I’m lacking to receive the email almost 5 days now.. Is that normal? I’m also planning to exchange it with Amazon Gift Card.. Thanks for making all the efforts to simplify Tang Card withdrawals! Can we linked our bank account in bitcoins? I just wonder how I can cashout my money through bitcoins. I think the Tango card in bitcoins were removed too from Clixsense. It probably works with Skrill too, but I did not test yet. As far as I know, Tango Cards discarded their support for bitcoin. So, no, it’s probably not relevant anymore. If you need to withdraw through bitcoin, I think you can request a withdrawal from Clixsense through Skrill, then deposit in BitPanda using your Skrill balance as a funding method. Let me know if you explore that option, and manage to do it – or if you find any other convenient way to convert your Clixsense earning into cryptos :-) This may be helpful for other readers.